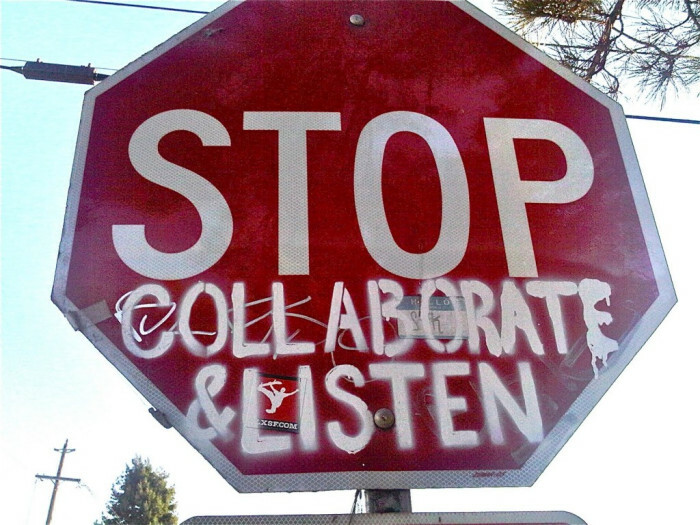 Collaboration might be the only way forward for communities facing an uncertain water future. It’s a fact of life in the Colorado River Basin that no one is really in charge. Instead, the complicated business of managing the basin’s water supply is achieved collaboratively by an array of federal and state agencies, quasi-agencies, irrigation districts, cities, Native American nations and the Republic of Mexico — all operating according to a complex set of rules called the Law of the River. It’s a cumbersome machine that’s challenged to respond quickly to crises, even the slow-burning kind. And yet, as John Fleck wrote in his book “Water is for Fighting Over,” the Colorado River Basin’s complex web of collaborations is perhaps the strongest asset as the people and agencies tasked with managing the river’s water supply face an uncertain and daunting future in the Southwest. As we tend to say around the American Rivers’ watercooler, the best response to uncertainty is flexibility. In the absence of a commanding authority, tribes, cities and irrigation districts should be empowered to develop and pilot new ways to use the river’s dwindling water supply efficiently. Tribes and farmers may be able to lease some of their un-needed water to cities or other farmers. Irrigators and cities may adopt voluntary conservation programs that reduce water use to leave water in the river or to provide to other users. Cities may find opportunities to work together, saving water today to create shared supplies for the future. These tools and others create increased connectivity between people and the river, as well as between communities who rely the river’s waters. Increased collaboration and connectivity can create flexibility that helps the river and its communities adapt in the face of shortages. Those of us in the business of posing solutions to problems facing the Colorado River call these voluntary agreements between willing parties “water sharing” to emphasize the collaborative spirit behind them. Nowhere is this spirit more apparent than in Arizona, where competing interests in how water gets stored and used have made it difficult to agree on steps toward ensuring the state has abundant water for the future. Much of the water for the farms and growing cities in central Arizona is provided by the Central Arizona Project canal, which brings Colorado River water more than 300 miles across the desert before ending near Tucson. Under the Law of the River — the set of compacts and laws that dictate how the Colorado River is managed — this water has some of the lowest priority, meaning it’s the first to get cut back when the river is too low to meet all needs. In central Arizona, irrigators and homebuilders will be the first to feel these cuts, raising questions about equity and unintended impacts. Insecurity in their waters supplies are motivating many cities and irrigators to find creative, collaborative solutions. Leaders from the Arizona Department of Water Resources and the Central Arizona Water Conservation District have conceptually approved a Drought Contingency Plan with the other six states that rely on water from the Colorado River system, accepting that cuts to Arizona’s water supply are necessary to shore up the Colorado River. However, finding the deals necessary to implement those cutbacks within the community of Arizona water users has been difficult. Some of the more promising responses have flowed (pardon the pun) out of one-on-one, collaborative deals between communities that have water to share and those that are at the greatest risk of suffering shortages in the future. The cities of Tucson and Phoenix, for example, pioneered a partnership in which Tucson will store some of Phoenix’s water today and provide it back to its northerly neighbor when Phoenix requires water in the future. Another example: The Gila River Indian Community and the managers of water supply for growing central Arizona communities have crafted an innovative set of short-term water leases and water exchanges that benefit both parties. The deal they have proposed includes swaps of stored groundwater, investments in pumps and canals, and deliveries of some of the community’s currently unused water over a span of 25 years. The innovation and flexibility in this arrangement could take pressure off of other parts of the state’s water supply portfolio, making it easier for all to adjust to a reduced supply. These kinds of collaboration are necessary if Arizona, and the other river states, are to adapt to long-term changes in the river’s hydrology, and correct the over-allocation built into the Law of the River. To help illustrate this concept, we’ve posted a short animated video.